Team sports serve many women as a vehicle for maintaining health, building confidence, and fostering friendships. 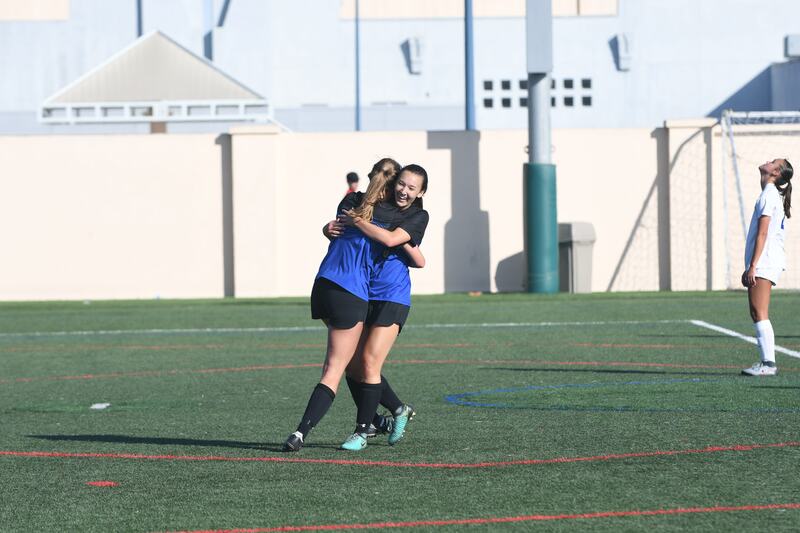 With UCLA club soccer, women who love soccer and enjoy competing at a high level can continue to do so while engaged in rigorous academic studies and a variety of extracurricular activities. As a student-run club that is only partially funded by UCLA, we rely on individual player contributions and community donations, especially this year as we look to bring home another national title. Over the last two years, we have raised over $16,000 which helped our team effectively compete against teams across the nation. The team is so grateful for the support we received, and we hope to build on that success this year. We look forward to participating in the national tournament in Foley, Alabama (11/28-12/2) and Spring League in early 2019. With your support, we are aiming to raise $10,000 to help cover travel, lodging, and tournament expenses so that each of our players has the opportunity to participate on the national stage. We appreciate all the help we can get, as competing at a higher level of play while focusing on our studies at school is a dream come true for all of us. 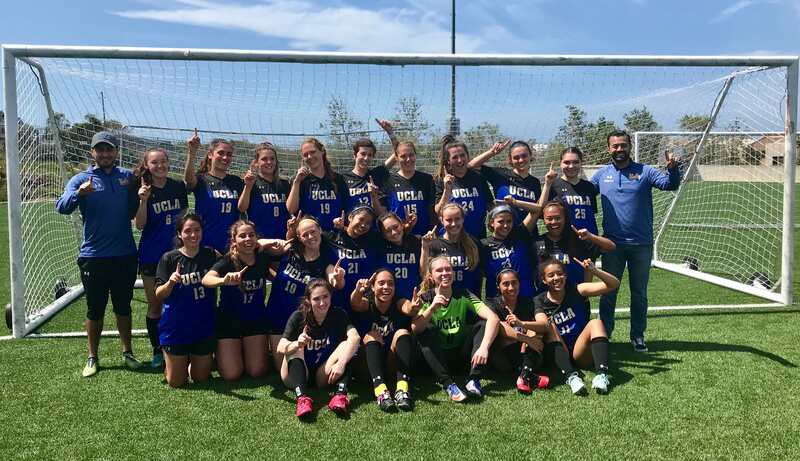 The UCLA women's club soccer team is a tight knit group of women who pride themselves on competing at a nationally ranked level while maintaining academic excellence and integrity on and off the field. As scholar athletes, practicing three times a week (with games on the weekends), we devote our time and energy to cultivating healthy balance in our lives. Historically, this hard work has paid off. In November 2015, our team won the open division of the NIRSA national competition and hopes to return this fall to the closed division in Alabama. In Spring 2018, we won our league by beating top ranked teams from our region and are working hard to build off of that momentum this year. We just finished Fall League in 2nd place, so we're headed to Regionals in San Luis Obispo! Between the airfare for flights, lodging in different cities, and car rental fees, this is a costly experience for the team, and we ask for your help in making these priceless memories possible for us. 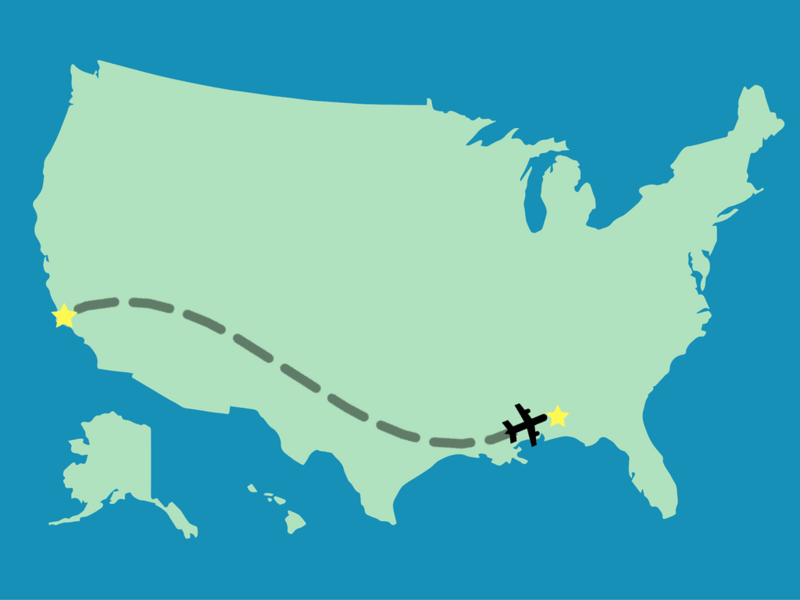 Please help us reach our goal of playing against teams from across the nation in Foley, Alabama (and beyond!) by donating what you are able. All of your support is greatly appreciated--whether it be donating financially or spreading the word about our team to your friends and family. With your assistance, we hope to raise $10,000 and bring every player to every game near and far throughout the year! In combination with tuition and housing costs that go along with attending a prestigious university such as UCLA, participating in Nationals and Spring League are mostly self-funded endeavors. This can be a struggle for some players, as not everyone can fully afford all the costs of travel and more. With the assistance of fundraising and your donations, we can make it possible for students to not have to stress about the high financial costs that come with playing at this level. As students juggling school, work, clubs, and sports, the women on this team are trying our best to make our traveling affordable and convenient for everyone. We need your help and support to get us all to away games as a united front. Without you, our efforts to succeed in Nationals and Spring League will not be possible. Please consider a tax-deductible gift associated with the perks listed on the website, and join our team in support of our dreams to continue playing soccer in our college years! Thank you for your gift! Your help goes towards everything from soccer balls to airfare fees. In honor of your generous contribution, we’d like to thank you by offering cool perks and describing the direct impact your gift has made on your project. All of us from UCLA Women's Club Soccer really appreciate your generosity and support for our team! Thank you! Thank you for supporting however you can! You get a high five! Soccer is a team sport, everyone contributes to the game. We're there for each other on and off the pitch, and apparently so are you! Thank you for your support, these donations add up -- double high five! From showing up to games, to reposting our game stats, you are a true supporter. Your donation ensures that each player has a player card! To show our appreciation for your continued support, we will give you a shoutout on our Facebook page. Nice move! Donating this amount helps us buy new soccer balls. With this long overdue equipment upgrade, we'll be practicing like the pros. For your donation, we'll send you a handwritten note signed by yours truly! Wow your donation will help us pay for travel expenses to Alabama this year for Nationals! For this great gift, we will send you a handwritten letter AND a signed picture of the team. She shoots, she scores! You can't win unless you shoot the ball, and you've shown your desire to help us reach our goal through this gracious donation. To show our thanks, we will make you a personalized video and post it on Facebook so the world knows just how much we appreciate you! You are leading this campaign trail with this huge donation! A donation of this magnitude would cover 1 player's dues for the entire season! No perk would be as fitting as a sponsorship listing on our website. You are our fundraising team's Most Valuable Player! You just donated enough to fund one of our player's club dues and entire uniform from head to toe! To express our gratitude, we will add you to our sponsorship listing to our website, add your company logo onto the 2019 Bruin Classic t- shirt, and schedule a meet and greet with the team before our annual tournament in May!